I wrote recently about a fav bible story — the Parable of the Sower. 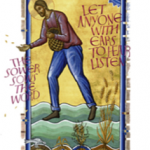 I looked at the Art of Sowing from the perspective of the sower. 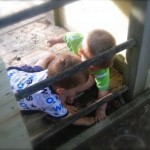 I now want to take a ground level view (pun intended) on the grace of being sown upon. 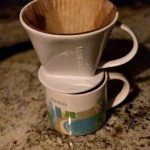 How receptive am I (are you) to the seed being sown on a day-to-day basis? 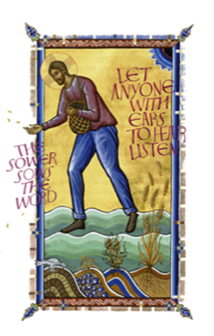 Remember, the sower sows with reckless abandon — so it is plenty fair to assume we are getting sown upon daily. Some seed fell by the path. Oops! I missed God altogether. The person I sat next to on the plane. The server that poured me a cup of coffee. The prayer request that I skipped right over. The sales person who was struggling and could have used a word of encouragement. The son or daughter that was looking for a patient listener. Did I completely miss and ignore God waiting for me? Some seed fell on rocky ground. I heard God’s voice during my prayer time, I read today’s readings, I glanced at the daily devotional in my inbox, I received a compliment … and I moved on, checked the task as “done,” did not take any time to reflect, and nothing took root. Uh-oh … The message God had for me did not stick. Some seed fell among thorns, which choked them. This happens when my agenda / plan takes precedent above all other plans, including the Lord’s. Between my calendar and task list for the day, there is no margin to be called away to serve someone else, let alone God. Can’t you see how busy I am! But some seed falls on rich soil, and bears fruit. Interesting that this seed is listed last. Sadly, it is often reflective of reality. After everything else, hopefully for God’s sake (and ours!) some seed bears fruit! Bearing fruit requires us to give of our time and our care. God is sowing all the time. He is in ALL things. Yet finding Him requires our senses — to see, hear, smell, touch Christ. We then give God some good ground to work with, and we are likely to experience an unanticipated full harvest.